Is It Curtains for Nokia? Setting the tone for his departure, Vanjoki made headlines for dissing Android in a way that would make Apple fanboys proud. According to Financial Times, Vanjoki said manufacturers who use Android are like Finnish boys who "pee in their pants" for warmth in the winter. The logic is that Android is a sloppy, band-aid measure for phone manufacturers that could ultimately hurt their brands, because users are buying phones for the operating system, not the phone maker. That argument has more holes than a pee-soaked pair of pants that's been treated with too much bleach, but I'll explain shortly. Almost simultaneously, news breaks that Nokia's flagship N8 phone has been delayed. Despite Nokia's best efforts to spin the story, the fact remains that people who pre-ordered the N8 were once promised the phone in September, and now it's not going to arrive until October. I don't think the delay is a huge problem for Nokia. The company should be more concerned with the overall amount of time spent developing its high-end smartphones than a minor delay in the home stretch. And that's where the urination analogy goes awry. Anssi Vanjoki is Nokia's outgoing executive vice president and general manager of mobile solutions. 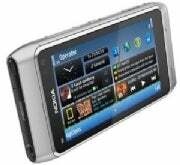 Image courtesy of Nokia. While Vanjoki has a point that owning the operating system brings great profit potential -- hey, it worked for Apple -- slipping into a third-party OS brings distinct advantages. For starters, phone makers' widespread interest in Android has grown the platform, and by extension, the quantity and quality of available apps. More importantly, Android allows device makers to focus primarily on hardware. Perhaps that's why Android devices have proliferated this year, while there still isn't a single Symbian 3 or MeeGo device on the market. And phone makers can still make an impression on consumers by creating reliable, attractive hardware and distinct software touches like HTC's remote backup service. I'm not in the camp that thinks Nokia should drop Symbian and MeeGo in favor of Android. The more operating systems, the better, I say. But taking a leak on other phone makers, even as they find success bringing a lot of great smartphones to the masses? Well, that stinks.